During SXSW there is a 155% increase in revenue a renter can get compared to a normal week in Austin. That means you would have to rent your house for an extra 11 days during a non-SXSW week to match the revenue from SXSW. Even during ACL, rental revenue is $1,000 less than SXSW. How many rooms do you have available to rent? If every single hotel room in downtown Austin was reserved for SXSW attendees, they would be about 3,000 short...if this were 2009. Today, they'd be about 23,000 short. 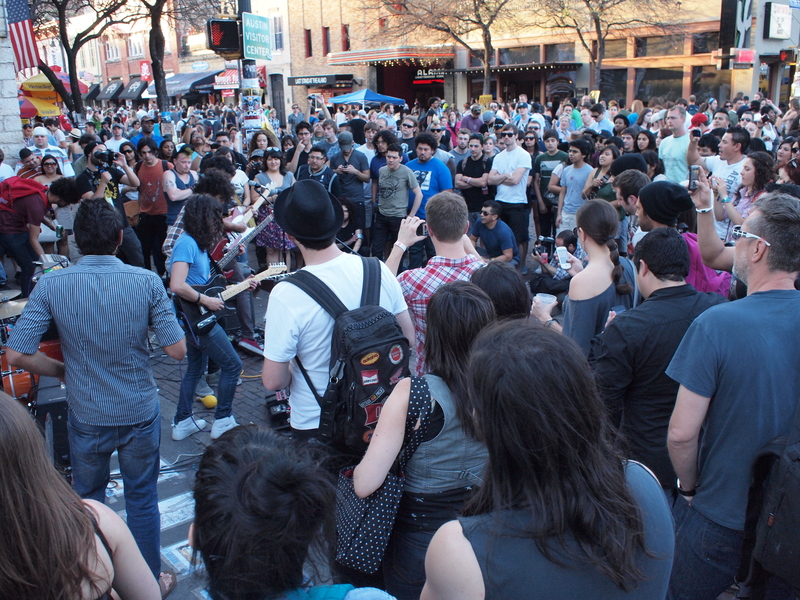 SXSW has exploded in attendees in recent years, ballooning from about 10,000 in 2009 to over 30,000 in 2015. And those numbers are true for both Interactive and Music. Even film, the smallest portion of the festival, has seen an increase of nearly 13,000 attendees in those six years. The problem is, downtown Austin only has about 7,000 hotel rooms. The entire metro area only has 30,000.So how can a city with fewer hotel rooms than attendees possibly survive the onslaught of people? It's simple: Airbnb. Airbnb is a lodging rental website that allows for individuals to rent out their houses, apartments, etc. to other users on the site. It pairs users looking to rent out space with users looking to find space to rent for vacations in an online marketplace. Founded in 2008, Airbnb now boasts over a million listings worldwide in over 34,000 different cities. That high amount of listings is certainly true for Austin, as well. Even though Austin is the 11th largest city in the country, it has the seventh highest percentage of homes listed in the country. In March, Austin had nearly 5,000 listings on Airbnb, and it makes sense why. With hotel space limited, Airbnb makes a killing during SXSW. In fact, during SXSW, Airbnb revenue skyrockets 155% in Austin. Bill Ruel rented through Airbnb during SXSW in the past. He found the experience identical to his other Airbnb experiences, with one difference, of course. "The woman I rented from during SXSW was someone I had rented from before," Ruel said. "Though I still paid a lot more during SXSW than other times of the year. The rest of the Airbnb experience was the same, except for the price." But Ruel believes that Airbnb is a much better option than hotels. "I am a big fan of Airbnb," Ruel said. "Price and location are two great advantages of Airbnb. Most have full kitchens, washer/dryers, and other amenities which make them better than hotels." Jeremy Meyers rented his house out during SXSW and for other parts of the year as well. He found that renting during SXSW allowed for cheaper rentals the rest of the year. "We were away for several months at a time and found that charging a premium during SXSW allowed us to charge lower rates the remainder of the time and still cover our costs," Meyers said. "We considered it fair." Meyers found that renters during SXSW were often there on behest of a company, so charging more for them made sense, especially if it allowed for families and people on temporary assignments, his renters throughout other times in the year, to be able to rent at a cheaper rate. Renters charging extra during SXSW seems pretty commonplace. Elizabeth Schmelzel rented her apartment out during SXSW and found the experience easy and profitable. "It's a great way to earn a bit of extra income, but because I don't own my apartment, I'm actually not all that comfortable renting it out," Schmelzel said. "If I owned my own home, however, I would definitely rent it out, especially during SXSW." Schmelzel didn't increase her rates as high as the Austin average, but she did increase her price about 40%, and says she would keep her prices increased for SXSW or other big Austin events. "If there was a big event in town, I would probably charge a bit higher because I still think my apartment is far cheaper than other options, especially during festivals," Schmelzel said. Not everyone agrees about the price increase, however. Matt Dennewitz has used Airbnb not only all over the U.S., but in England and France as well. Dennewitz used Airbnb for SXSW, and found that there were issues with availability, even compared to previous times he had used Airbnb. "Pricing and location are completely out the window, but the experience is otherwise no different," Dennewitz said. "Booking-wise, options were scarce, but we found options pop up very near the beginning of SXSW. Our offer was accepted immediately." Although Dennewitz sees Airbnb as a better option because the convenience, cleanliness, and pricing are better with an Airbnb than a comparably priced hotel, he thinks the surge pricing during SXSW is something Airbnb should regulate. "Surge pricing is exploitative and Airbnb should be regulated," Dennewitz said. "Surge pricing should be bounded." Airbnb serves a need that Austin definitely has: not enough space for an ever growing convention. As SXSW continues to grow, as all data indicates it will, there will be more and more need for Airbnb rentals to help supplant the available hotel rooms. It's also likely that Airbnb prices will continue to increase as attendance to SXSW increases as well. 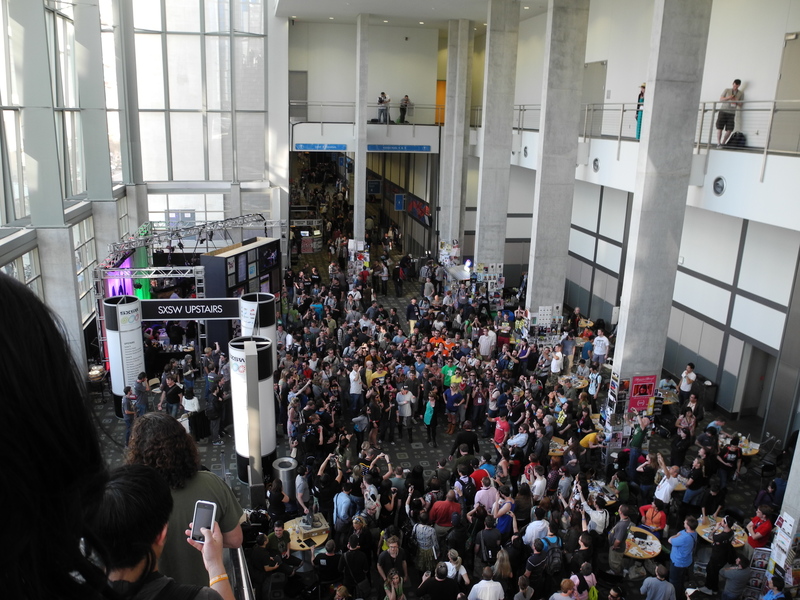 SXSW 2016 will start with the Interactive portion on March 11, 2016 and end March 15. Music will run from March 15 to March 20, 2016. Film runs from March 11 through March 19. Airbnb data primarily retrieved from AirDnA. Austin skyline photo courtesy of Ed Schipul. SXSW stage photo courtesy of Kris Krüg. SXSW street photo courtesy of Anna Hanks. Copyright 2015 All Rights Reserved Jordon Brown.